Venice 2018 creative team (L - R): Linda Tegg, Mauro Baracco, and Louise Wright. This week saw the announcement of the creative team for Australia’s pavilion at the 2018 Venice Architecture Biennale. Entitled Repair the exhibition invites responses from diverse disciplines, to address the impact of our expanding built environment on Australia’s indigenous landscape. Underwriting next year’s Australian contribution to the 2018 Venice Biennale is a realization that our collective history of building and city-making is also one of erasure: of landscapes and eco-systems. Led by architects Mauro Baracco and Louise Wright, the full curatorial team includes artist Linda Tegg, landscape architect Chris Sawyer, landscape architect and urban designer Tim O’Loan and trans-disciplinary researcher Paul Memmott. The exhibition’s theme draws attention to the landscapes, ecologies and plant species that have been damaged and driven to the edge of extinction. It asks the question – is there another mode of urban development that mitigates this binary condition of settlement and displacement? In its exhibition format Repair will follow the example of the last Australian Pavilion entitled The Pool, which essentially combined two key elements: a large single installation, alongside a curated collection of relevant cases studies. 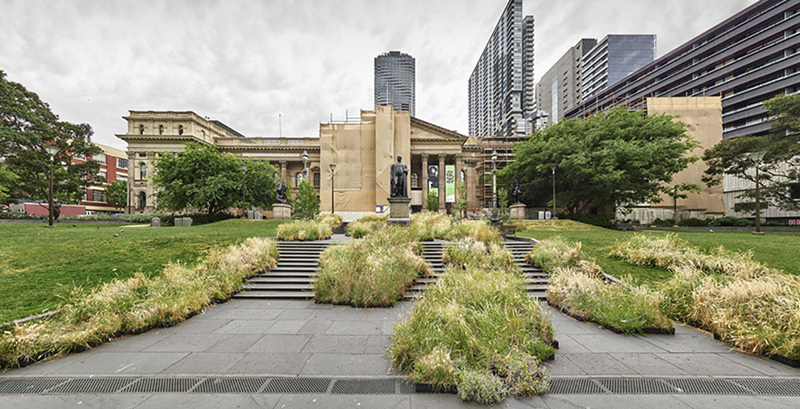 For 2018 the installation component will be an installation by artist Linda Tegg, best known for introducing indigenous grasslands at the State Library of Victoria in 2014. 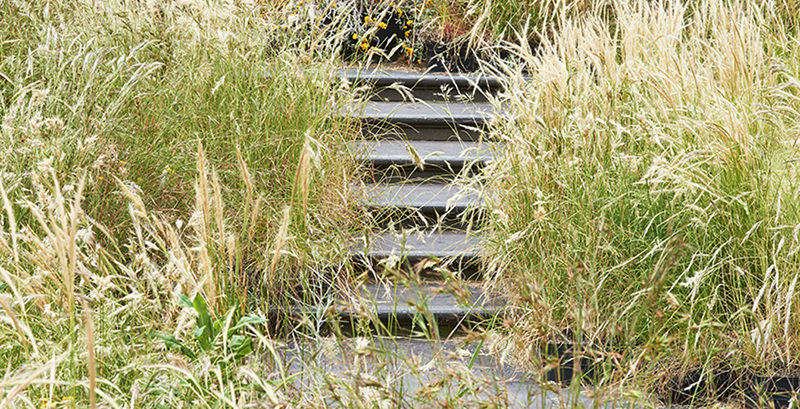 For Venice she will install thousands of temperate grassland species, cultivated and nurtured nearby, and located within the pavilion for the duration of the Biennale. 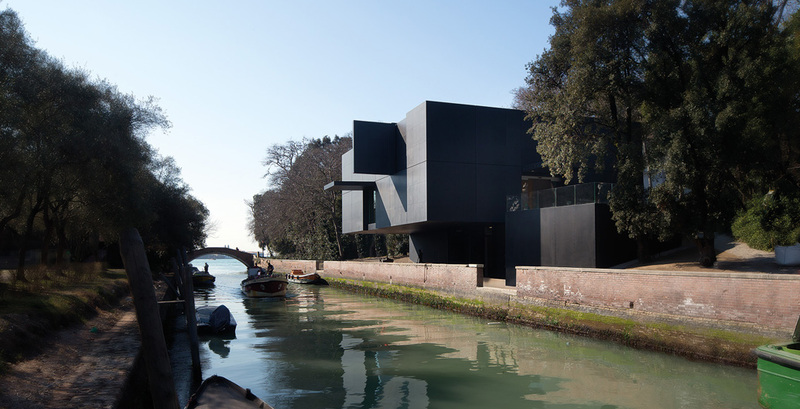 Australian Pavilion, Venice. Image: John Gollings. 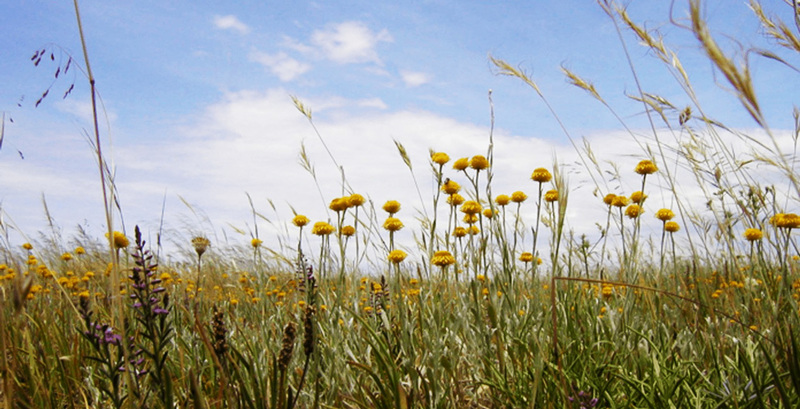 Victoria's endangered flower-strewn native grasslands. Image: Ryan Chisholm. Alongside this art installation the Creative Directors are calling upon Australian architects, landscape architects, ecologists and urban designers to submit projects and initiatives that “have been conceived in relationship with their ecosystem to effect repair be it civic, social, cultural, economic or environmental”. The curators will then select a range of approaches, scales and geographic locations for exhibition in the gallery. Foreground spoke to architects Baracco and Wright, along with landscape architect and urban designer Tim O’Loan, about their plans for the exhibition, starting with the practical challenge of how to transplant sensitive indigenous Australian plants into an alien location and climate. “We decided it was impractical to export the plants next year. Instead we brought seed plants to Italy earlier this month,” says Wright. “We took samples from 65 Western Plains Grasslands species, the seeds from which are being grown in an Italian school of agriculture.” But it’s a complicated business. In treating the seeds for germination, which in some cases involved the use of smoke water (water treated with smoke to simulate bush fire propagation processes), they realised how limited our knowledge is, when it comes to propagating our indigenous plants. “Even though we were working with scientists and ecologists, what’s interesting is how little we actually know about how to grow our own native plants, and sadly a lot of the traditional knowledge is disappearing,” says Wright. When asked what practices or projects they had in mind when proposing the call for submissions, Wright singles out the work of Kerstin Thompson Architects, whose work is renowned for connecting to the site and the natural environment in a thoughtful and poetic way. 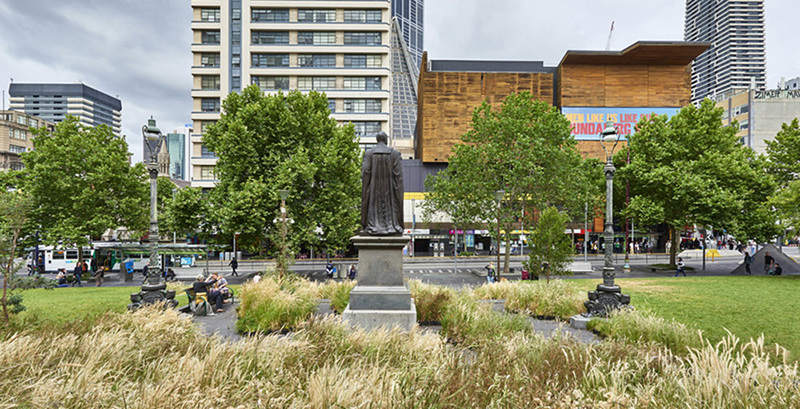 Thompson often collaborates with landscape architects such as Fiona Harrison and Taylor Cullity Lethlean. “We are hoping to include projects that consider the wider eco-system that a project sits within. This could be a small project with wider ‘downstream’ implications, or indeed a project the size of a region, like Sydney’s plans for a Green Infrastructure Grid in NSW”. Thinking beyond property boundaries and beyond the immediate construction considerations of a building inevitably requires working with larger multi-disciplinary team. A fact that is reflected in the wider curatorial team bringing together ecologists, urbanists and landscape architects. Baracco laments how such collaboration is still the exception not the rule in the Australian context. “The conundrum here is that, in large parts of Europe there is already a clear understanding that designing the built environment needs to connect meaningfully with urban ecology and the landscape, but in Australia we still find that the big developers are not there yet. We want this exhibition to provoke a discussion at that level”. 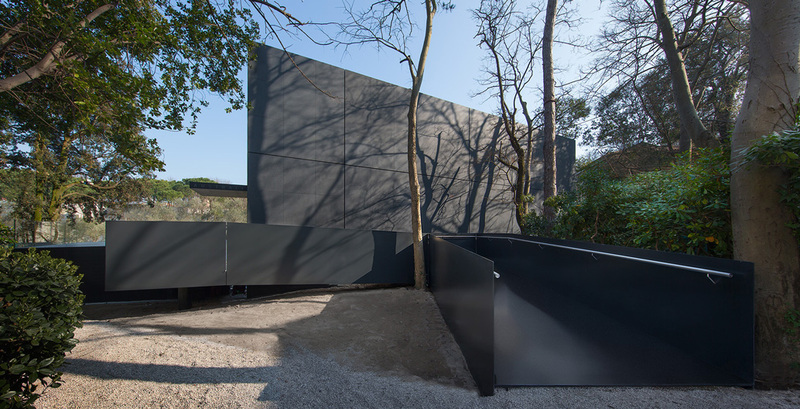 The team are exploring ways to extend the exhibition outside of the pavilion, which unlike other pavilions within the Venice Giardini is largely artificially lit. Designed by the Melbourne practice of Denton Corker and Marshall, solar access is limited to one window. As O’Loan observes somewhat ruefully “these plants will be coming from an environment of plentiful sun, to an interior of limited natural lighting, which is likely to put them into a state of stress”. As such, and having just been announced, the exhibition has already provoked debate about the relationship between natural systems and artificial environments, as an inevitable consequence of the interaction between curatorial ambition and existing conditions. Time will tell whether that discussion can seed a wider discussion about how those engaged in the designing of our cities can move beyond the black box of architecture to the wider field of collaboration. If you want to be part of the exhibition, click here to learn where to send your submission.